For employee and business visitor perks. Locking system for business visitor lockers. Big companies and organisations have different perks available to their employees and business visitors. So it is a logical step to have a locker room or locker bank in shower room, for such (usually sport and leisure) perks, where users can securely leave their belongings during their in-house activity. Like enjoying company’s steam room, spa or squash court. Because it is maybe not the best idea to take your expensive phone to a steam room. Or to have it your back pocket during very active squash game. 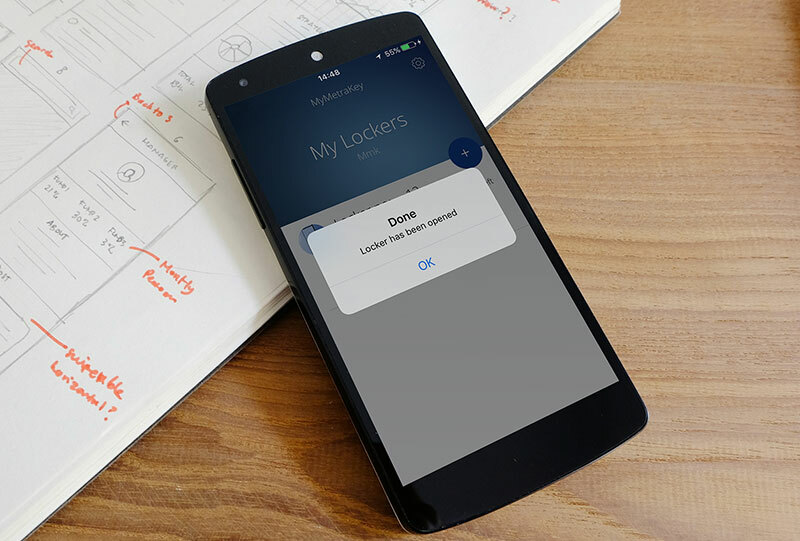 A Plug & Play locker solution for a no-name type of lockers. Which are usually used for a couple of hours. Using PIN code or visitor access card as a locker key (Metra display provides both). To lock the locker, the user chooses a vacant locker, closes the locker doors and enters a random PIN code. To unlock the locker, the user enters the locker number and the PIN code. Piece of cake. Vacant lockers in Plug & Play locker solution usually have (slightly) open locker doors. But can also be closed, if needed. Depends on your wishes. The Metra Plug & Play solution for visitor type of lockers is the same as other Metra locker solutions. It is easily installed into new or existing lockers. Can used any RFID card as a locker key. 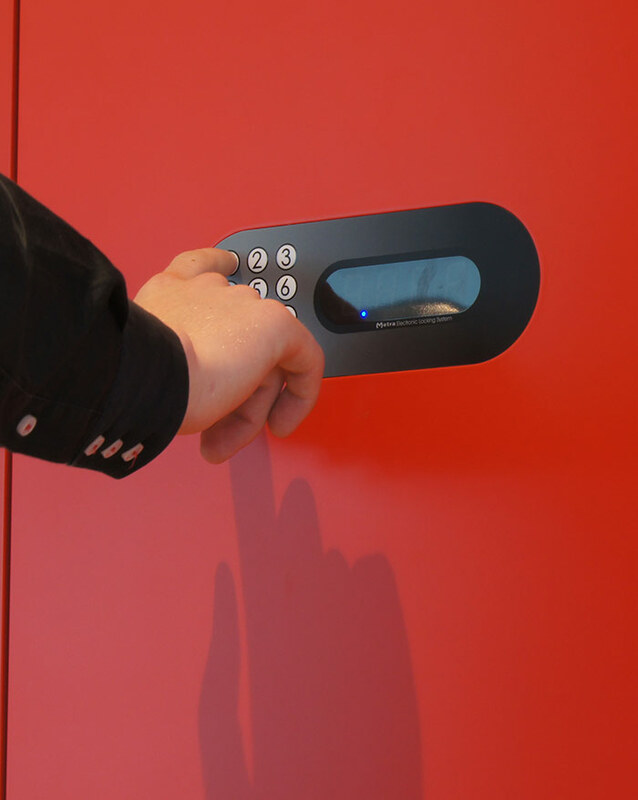 It is a reliable, low-maintenance and a user-friendly locker solution. Forget about time and nerve consuming chores regarding locks, keys, etc.. like changing a lock due to a broken or lost key. You also same time and money as no need lock batteries need to be replaced (especially with the high number of lockers). With Metra solution you usually don’t need a tech guy or a janitor to look after the installation. Just install and forget (you use) it.